Zero Two or Ichigo? Is TRIGGER or A1 the Pistil? TRIGGER took to Reddit, hosting an AMA on the /r/anime subreddit to answer questions about all things TRIGGER and DARLING in the FRANXX. Studio mainstay Hiromi Wakabayashi, with translations courtesy of Tattun, spoke about collaborating with A-1, mecha, favorite Western cartoons, and potential future projects. Here are the highlights of the Q&A! 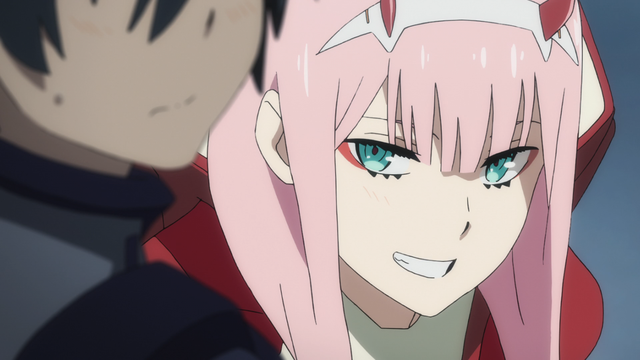 DARLING in the FRANXX is a co-production between A-1 Pictures and TRIGGER. 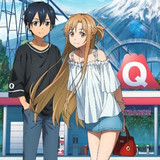 Has there been any significant benefits or drawbacks to having two anime studios working on one anime? I like to think that we're (TRIGGER) decent when it comes to creating original contents. 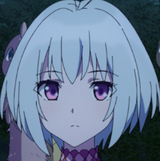 For Darling, TRIGGER was mainly in charge for concept planning and development. On the other hand, A-1's got the capacity to produce multiple titles throughout the year, and they're also known for their quality so we got a lot to learn from them when it comes to actual production. I wouldn't say this is a demerit, but since Darling was produced between two studios, the amount of staffs involved were also doubled. The project was more difficult to manage compared to others. What are your main reasons for choosing to produce your new animes in co-production with other studios? We've decided to work in collaboration with A-1 pictures since the director specifically requested to do so. TRIGGER was mainly in charge of pre-production since coming up with original content is what we do best. A-1 on the other hand handles most of the actual animation process. However, there are few episodes that we were responsible for, and few designs did come from creators of A-1 as well. While studio TRIGGER is relatively young compared to most anime studios, I've noticed half of TRIGGER's TV anime works are 24-25 episodes long compared to most studios following 12-13 episodes. Is there a reason for that and does the episode length have any direct impact? We're a very fortunate studio to receive so many opportunity to produce original contents. Compared to adaptations, original series takes a lot longer to produce. We simply want our audience to enjoy the characters we took so long to create as much as possible. It also works in favor for the production committee since they have a longer span of time to market and sell their merchandise. Between Trigger and A1, which is the Stamen and Pistil? I guess TRIGGER would be the Stamen? Our studio's got that rowdy, rascal like vibe. What happens to the girls when they are in the Franxx? Do they have plenty control over it or they just relay on the boys? Can a boy be in their place? 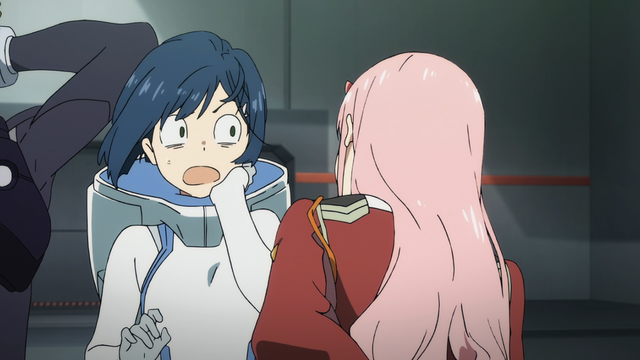 The girls are mainly responsible for the ignition while the boys pilot the Franxx. The girls also hold the initiative for the Franxx's functionality since they can technically activate the machine without the boys (the stampede mode). Although, Zero Two is the only female character known to be capable of this. The boy and girls role in piloting the Franxx are not interchangeable. 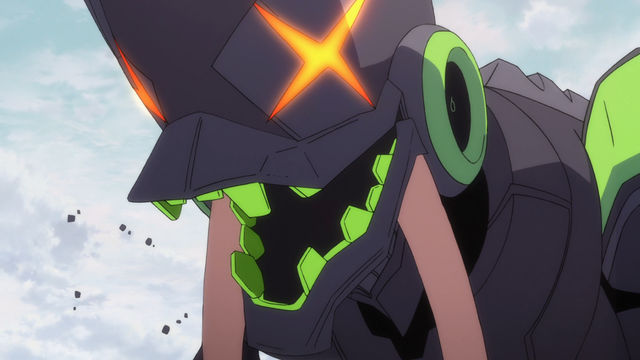 In Evangelion, Diebuster, and Gurren Lagann, the mecha have their own consciousness. 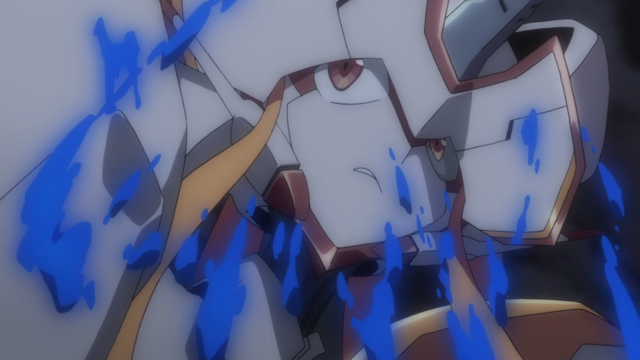 Would you say that this inspired you to take it even further with the DarliFra, which blurs the line between character and robot with the Pistils and the Franxx being extensions of each other? I'm surprised that you've caught on to that. You've definitely studied the concept for GAINAX mech series. DARLING in the FRANXX definitely follows this trend. I cannot disclose any information, but I hope you enjoy the rest of DARLING in the FRANXX! 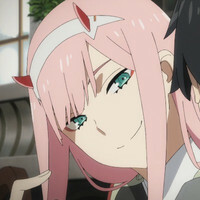 Who was responsible for the character design for Zero Two from DARLING in the FRANXX, where did they get inspiration to come up with such a beautiful design? Since there are already many questions, I will ask a simple one. Who do you prefer more? Zero Two or Ichigo? And why? I find it hard to pick a favorite because they are both so amazing! Hmm... If I had to choose, it'd be Zero Two. She's however not a waifu material. I guess I'm attracted to her charismatic personality. As a creative producer, your job is to make this unique premise works. So, how did you or your team come with all this idea? Did you just one day say "How about we make this and see how it goes" jokingly and somehow make that project come to life later? Let's take Kill la Kill as an example. Kill la Kill's story/premise will probably make sense even if it took place in modern day Japan. However, by using a fictional setting, we're able to visually supplement the premise as well. In the opening scene of Kill la Kill, we see Ryuko looking up to the mountain, which is the Honnouji Academy. The viewers can then assume that Ryuko will be going through many hardships throughout the series. Even if it may sound absurd on paper, it's important to come up with ideas/concept that will visually compliment the premise. The animations done by TRIGGER, whether they be originals, adaptations, or even "non-anime" like the "Battlesaurs" segment from Toy Story 3, are always incredibly expressive and full of motion! This seems to carry over to even your most recent show, DARLING in the FRANXX, despite the fact it is a collaboration. What are some of Trigger's philosophies in regards to animating, and why do you think you guys emphasize having so much motion and expression in your animations? I believe the most important aspect of animation is the process of characterization. For example, the simple act of turning around is enough to portray one's character. The direction might be simple, but the animator must think what the character's motive is, how would the particular character react when he/she is animating the scene. With the above noted, we aspire to express our animation boldly. We will be loud for our actions, and we're not shy to show emotions as well. What would be your favourite work when it comes to animation? If we're talking Japanese animation exclusively it'll be FLCL for OVA, DIGIMON ADVENTURE CHILDREN'S WAR GAME! for feature film, and Kaleido Star for TV series. What are some of your favorite Western cartoons? That's a difficult question. So many to choose from... I think my top favorites are Simpsons, Billy and Mandy, Kim Possible, Drawn Together, Gravity Falls. Out of all the TRIGGER shows my absolute favorite has to be Space Patrol Luluco, so when I discovered that it was the origins of Trigger-chan it made me curious whether this was always supposed to be her backstory or if this was just a neat idea added after the fact? I actually made the pitch to the director to have Luluco transform into Trigger-chan. If I recall correctly, I made this presentation fairly early in the production phase. 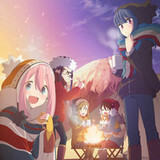 I hope that I can produce another series that features all 3 Trigger girls in the future. Are Gurren Lagann, Little Witch Academia, and Kill la Kill all set in the same universe at different points in time? My fan theory is that Akko's using spiral energy, and Croix will be the founder of the Anti-spirals. Technically they exist in a different universe. However, we have few characters such as Trigger-chan and Inferno cop with the ability to cross between these walls and limitations. I love Space Patrol Luluco, it's one of my favorite series. Do you guys have plans for other short anime (besides Inferno Cop)? Both Imaishi and myself really love Space Patrol Luluco's format, so hopefully we'll be able continue with the series in the future. 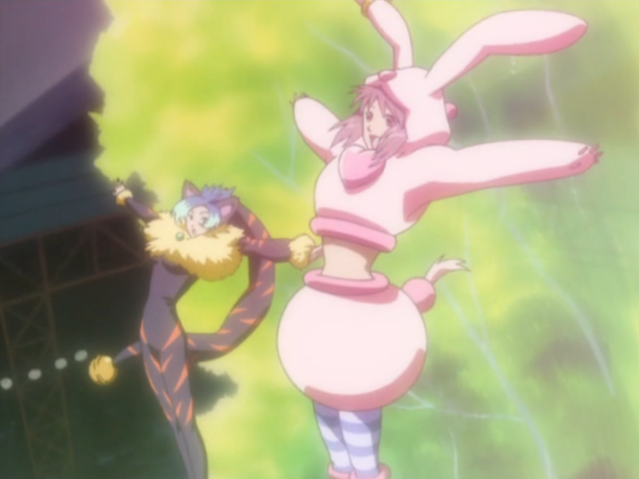 Mascots like Muzzle and Spring will receive their own anime? We'll be able to see Trigger-chan again in one of your future works? I almost view it as a duty to deliver the other 2 girls at this point.